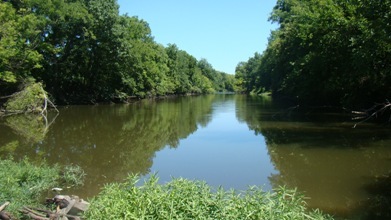 Relax, bring your picnic basket, fishing gear and enjoy the wonderful fishing on Elm Creek. The city has cleared off land on both sides of the creek so that people can enjoy catching fish. At the present time, there's no bridge across the creek on Washington Avenue, but there is talk of placing a swinging bridge across the creek so that people could walk from side to side. To enjoy the south side of the park, you have to drive back to State Street and go south. Then turn east on the first paved street (Bassett Street)south of Bassola Lake and follow the road to the north until you get to the barrier in the street. 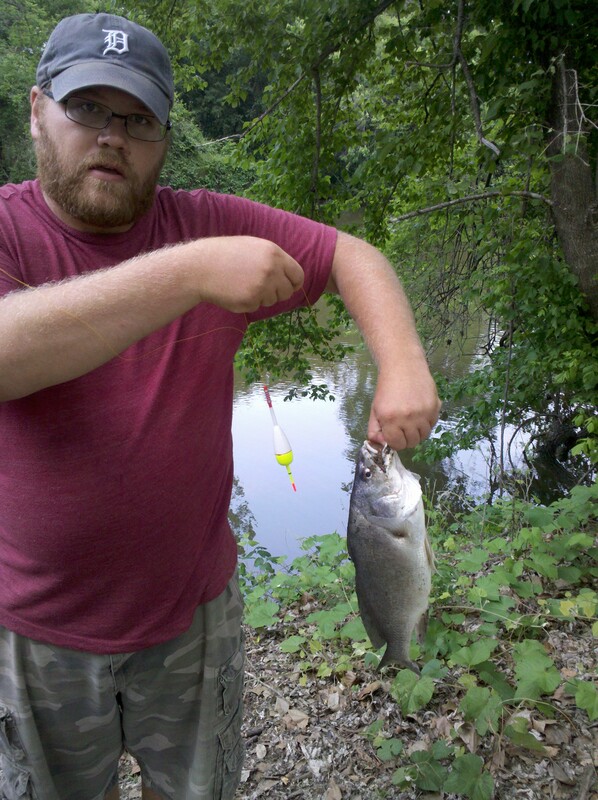 Park your car, and go to the west side of the road, and enjoy the southside fishing! Development has only just begun! Check back often to see what changes and additions the city gives to this lovely waterfront park! It is a child / family / pet friendly environment! 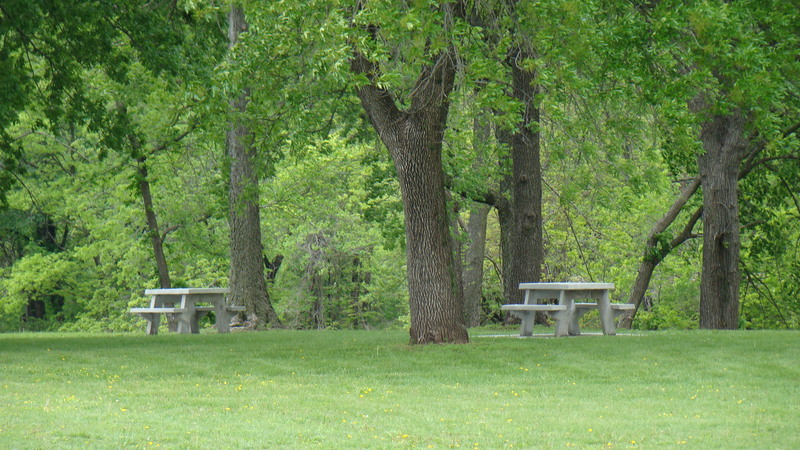 Two cement picnic tables are set in each park. 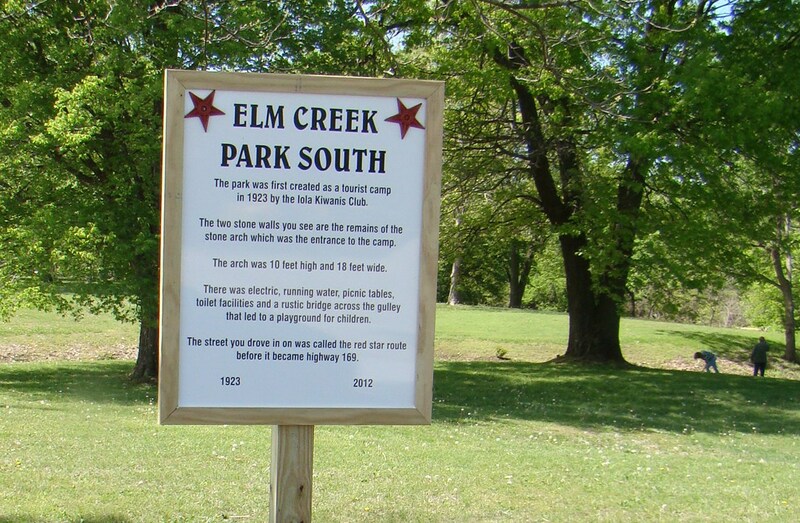 At the beautiful Elm Creek South Park, be sure to read the historic sign, enjoy a picnic on one of the two benches or two cement picnic tables, and relax with the great shade trees, flowers and landscape along with the fun fishing in Elm Creek.